It may be a Good Friday tradition - but for vegans, fish are friends not food. The number of people following a plant-based diet has rocketed in the UK in recent years, and many others are cutting back on their animal-product intake for health, environmental, and economic reasons. With businesses springing up to cater for them - and mainstream chains bringing out new products to tap into the new market. Here we look at places in the North East serving vegan fish and chips. Those feeling brave can try making their own using this recipe from Bosh. 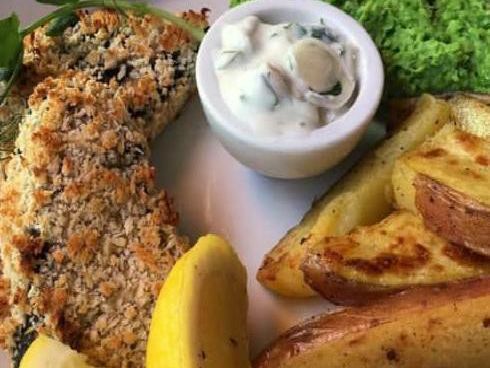 The family run vegan cafe and bistro has created its own version of fish and chips for Good Friday, which it says will bring customers all the flavours we without the saturated fats and salty nonsense. Booking advisable. A hidden gem for vegans in the know, with vegan haggis and vegan sausage among the meat-free options on offer. The North Easts first vegan pubs lucky fish and chips have been a firm favourite with customers since it opened. The fish is crafted from flavoured tofu, wrapped in seaweed then battered. One of the Greene King pubs to serve the VBites fish fillets and chips. Not all the chains pubs stock the product, designed by company owned by Heather Mills.